Look up ‘2018 Outdoor Living Trends’ on Google and you are sure to find outdoor kitchens, water features, and outdoor lighting ranked on the top 5 of almost every single list. 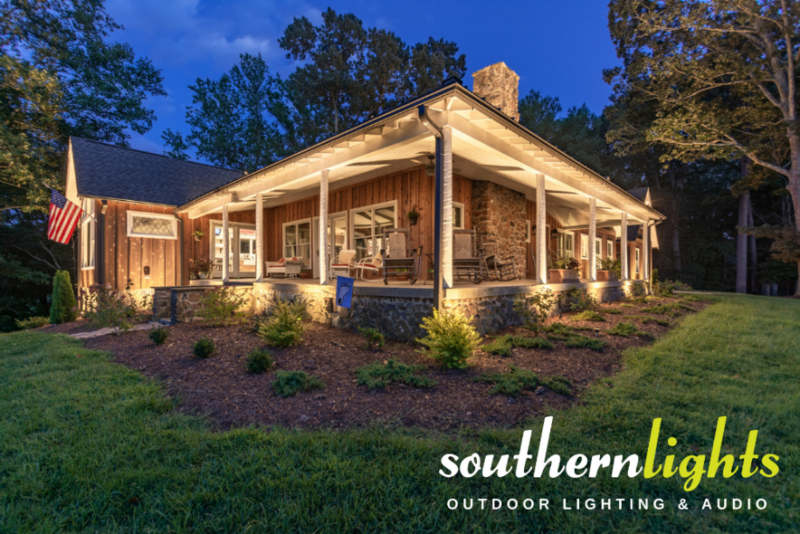 Outdoor lighting, in particular, has been on the list of top outdoor living trends for over a decade. Every year, it just seems to keep climbing up the ladder. However, this is not a coincidence as the rapid increase in popularity is due to numerous reasons. People are flocking to outdoor lighting to add a level of security and safety to their homes. While others are incorporating the lighting elements to highlight integral architectural or landscape features. Many also want to provide ambiance to their outdoor living areas. Why do builder’s not incorporate this feature if it is in such high demand? With this tremendous growth in mind, its quite shocking why many fail to put it in consideration for their building budget until the last minute. When a builder actually does include outdoor lighting in the budget, the amount assigned is usually well below what is needed. Builders often do not think of the cost necessary to design and install an outdoor lighting system that really brings out the beauty in their work. However, there are still some builders out there who holds outdoor lighting in high regards. They want the beauty of their works highlighted at all hours. After being in this industry a number of years, we do work with few builders who introduce us to homeowners. This is to help them understand why they can not afford to overlook outdoor lighting in their building budget. I’m happy to report that in each and every single case, it’s always been highly appreciated! Customer’s love it because of the aesthetic appeal it adds to their properties. Another reason is because it helps guarantee their safety as well as security. So if you are a landscaper, builder or homeowner, we encourage you not only to add outdoor lighting to your landscape budget. But make sure to assign a range of 15% to 25% of the budget to help highlight your work.